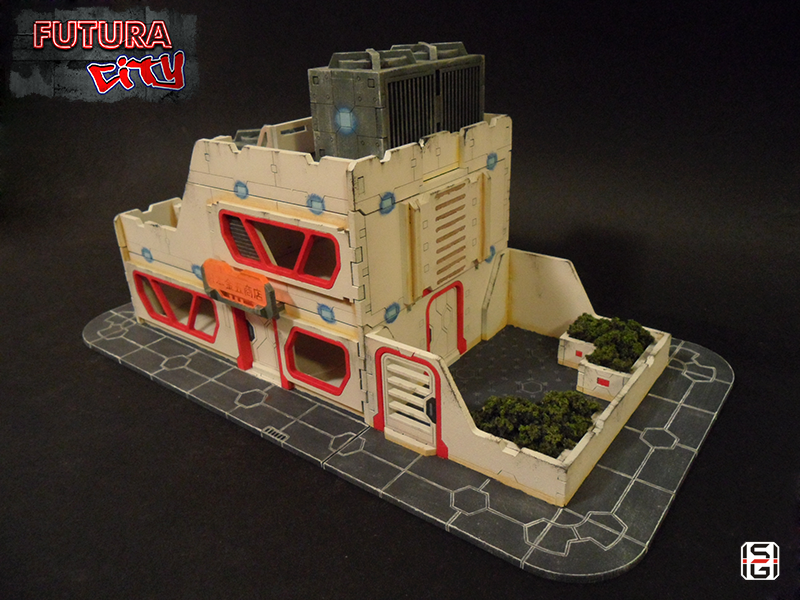 Systema Gaming is showing off some preview shots of the new sci-fi building they've been working on that will be released soon. I'm sorry it's taking a bit longer than I said, but there is just a lot to do before I can put the new products online. But I think the sets will finally be ready by the end of next week. 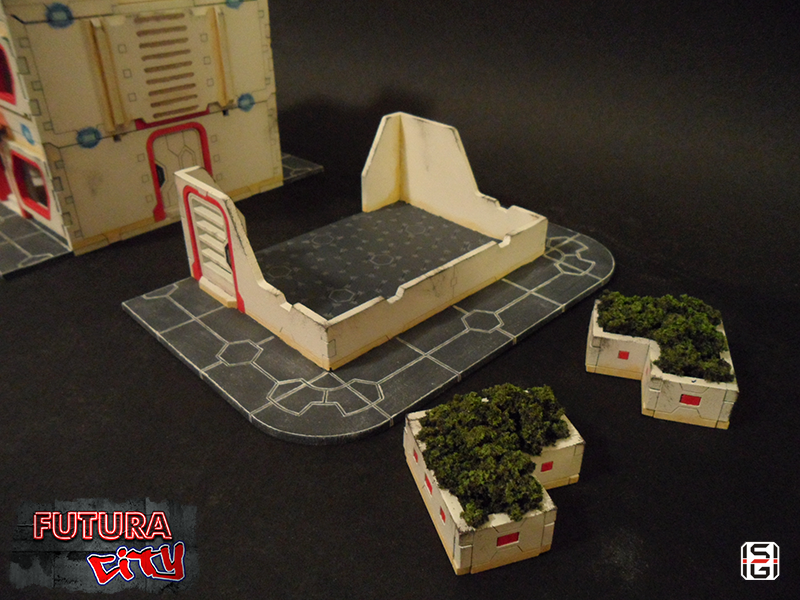 In the meantime I'm giving you a small preview of another little set to accompany the buildings - a little garden! And, as you can see, the new range will be called Futura City.